Spaying is the practice of sterilizing female animals by removing the reproductive organs including the ovaries, fallopian tubes and uterus. Neutering is the practice of sterilizing male animals by removing the testes and is also referred to as an orchectomy or castration. Six to nine months has been the traditional age range to spay/neuter. In a shelter setting many animals are spayed/neutered much younger. If you can responsibly care for your dog (separate from other unaltered animals), many recommend that you wait until 1-2 years of age so that they fully develop first. As long as an animal is in overall good health and has a good prognosis for recovery from surgery, there is no reason they cannot be spayed/neutered as an adult. All of our rescue intakes are spayed/neutered regardless of age unless a veterinarian deems it medically unsafe for them to undergo anesthesia due to an underlying medical condition. The decision to spay/neuter is an important one. ​There are many reasons to spay or neuter your pet aside from preventing unwanted litters. Research indicates that your pet will live a longer, healthier life if spayed/neutered. When you spay or neuter your pet, it reduces your pet’s risk of developing certain cancers and may lengthen their lives. In females, spaying cuts down the odds of developing mammary, ovarian, and uterine cancer. In males, the risk of developing testicular cancer is decreased after neutering. Pyometra is a serious condition in which the uterus swells with toxic pus and the only cure is an emergency spay. The surgery is dangerous when a middle-aged or elderly dog is already sick from the infection. Pyometra can also affect many organs, such as the kidneys, which can make a pet very ill or even be fatal. Many unspayed female dogs die from pyometra, which can be completely prevented by spaying while your dog is still young and healthy. Your spayed female pet won't go into heat. Heat periods require vigilance as an owner and confinement of your pet in heat. A female in heat can be smelled from a long distance away and fences mean nothing to a lust-crazed male. You shouldn't leave her alone in the yard and you may have to temporarily stop neighborhood walks. Dogs in heat are often not allowed at dog parks, dog events, or pet stores. While heat cycles can vary, female felines usually go into heat four to five days every three weeks during breeding season. In an effort to attract mates, they'll yowl and urinate more frequently—sometimes throughout the house! An intact male will do just about anything to find a mate, including finding creative ways escape from the house. Roaming dogs are at risk for injury in traffic, as well as in fights with other animals. They also may be confiscated by the county animal control for being a stray animal. Your neutered male may be better behaved. Unneutered dogs and cats are more likely to mark their territory by spraying urine all over – even in the house. Your dog also might be less likely to mount other dogs, people and inanimate objects after he’s neutered. While spaying does change a dog's hormonal make-up and metabolism, she will not necessarily gain weight solely as the result of being spayed. Monitoring your dogs’ weight is important regardless of if they are spayed/neutered. Lack of exercise and overfeeding are the most common reasons pets gain weight. Your pet will remain fit and trim as long as you continue to provide exercise and monitor his/her food intake. Food intake needs to be adjusted as your pet ages and his/her metabolism changes. Puppies require more frequent meals as they grow, whereas senior dogs who are less active may require less food. Our veterinarian can help you determine the appropriate diet for your dog at any life stage. While neutering has been shown to help alleviate some behavioral problems, it is not a “cure all” for every behavior problem. The surgery will reduce the amount of testosterone in your dog’s system, but it won’t eliminate the hormone completely. Neutering your pet often reduces undesirable behaviors caused by a higher level of testosterone, such as territorial marking and the desire to mount others. 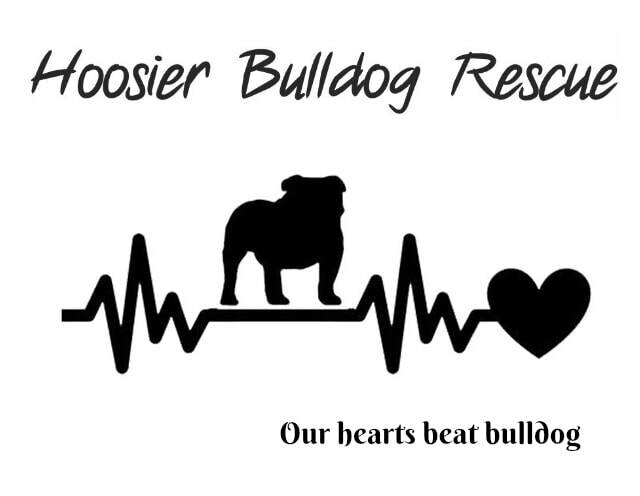 Following neutering, we still recommend positive based training with your bulldog. This is a commonly cited reason for not spaying or neutering. Having puppies in order to replicate a parent dog is comparable to having a baby to replicate a human parent. There is no way breeding will reproduce a pet just like the one you have. Mating pets will result in a mix of chromosomes that will produce a unique individual. Breeding dogs, if done right, is not generally a profitable business- it is a practice done for a love of the breed and a desire to improve genetic bloodlines. Breeding is expensive and most breeders rarely make a profit after factoring in genetic health testing, medical care for the parents and puppies, supplementation, proper accommodation for puppies, etc. In cases where pregnancies result in complications breeders frequently lose money. Your pet will still be the same loving animal it once was with the same habits. What may change after a dog is neutered is a decrease in problem aggression, mounting, and roaming behavior.